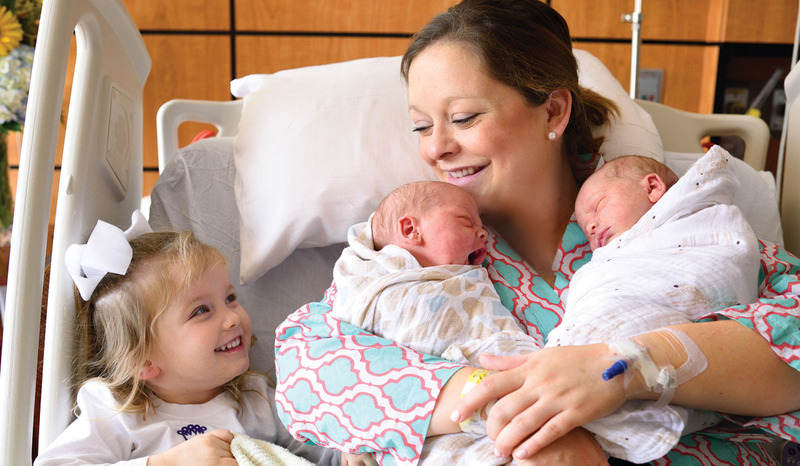 It wasn’t until the 20-week ultrasound that Lauren Struzick (pictured, with 2-year-old daughter Molly and twins Wyatt and Charlie) and her husband Danny Struzick learned they were expecting identical twins. One baby had been hiding all along. (Photo: Copyright 2015 Texas Children’s Hospital. Buzz Baby is a column about life with babies from the perspective of a first-time mother. 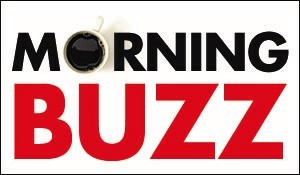 If you have baby stories to share, leave a comment under this article or email info@thebuzzmagazines.com. Babies are fun. Babies are hard work. Babies don’t care if you haven’t slept in three days. And sometimes, for a small percentage of the parent population, babies come in pairs. This month, my own twins will turn 1, so I am dedicating this column to all the twin moms and dads out there. Aside from these common comments heard from random strangers (confession: I may have been one of those strangers in the past, but I’ve since reverted and try my hardest not to stare at other twin parents awkwardly maneuvering through a doorway), being a parent to twins means a life of surprises. Lauren Struzick, a marketing specialist at Texas Children’s Hospital, and her husband Danny, a project manager, were excited to be expecting a little one – one being the operative word. All of the doctor’s appointments had gone smoothly, revealing one, strong heartbeat. Then, at Lauren’s routine 20-week ultrasound, they were hit with a bombshell. Lauren said at first they didn’t know how to react. They laughed, and they cried. They already had 2-year-old Molly, so they were to become parents to three. 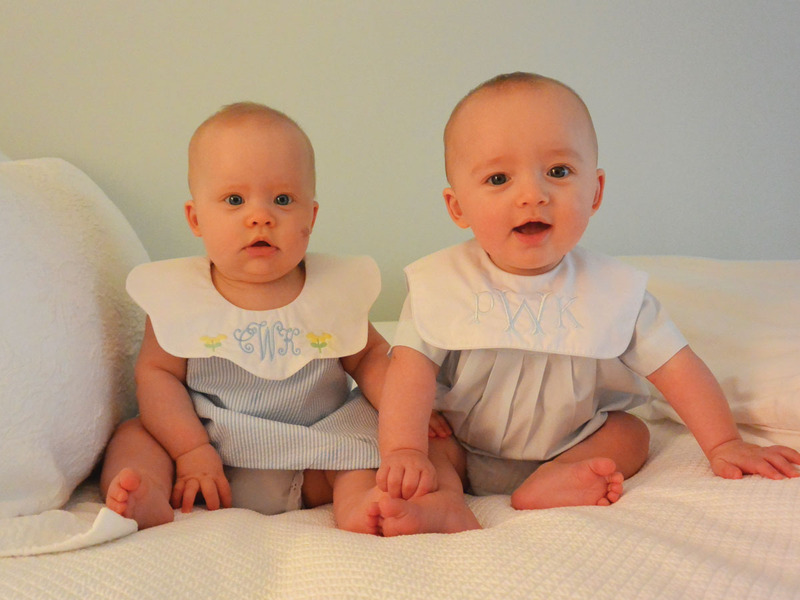 The couple welcomed healthy boys, Wyatt and Charlie, four months ago. Twin parents Katie and Brett Woodroof found out at an early sonogram they were expecting their boy/girl twins, Porter and Conley. Twin parenting can be stressful, even before the babies arrive. When mom Katie Woodroof and her husband Brett, controller at Better Homes and Gardens Real Estate Gary Greene, found out Katie was expecting, they decided to take a blood test that can pick up the presence of a pregnancy-related hormone called human chorionic gonadotropin. 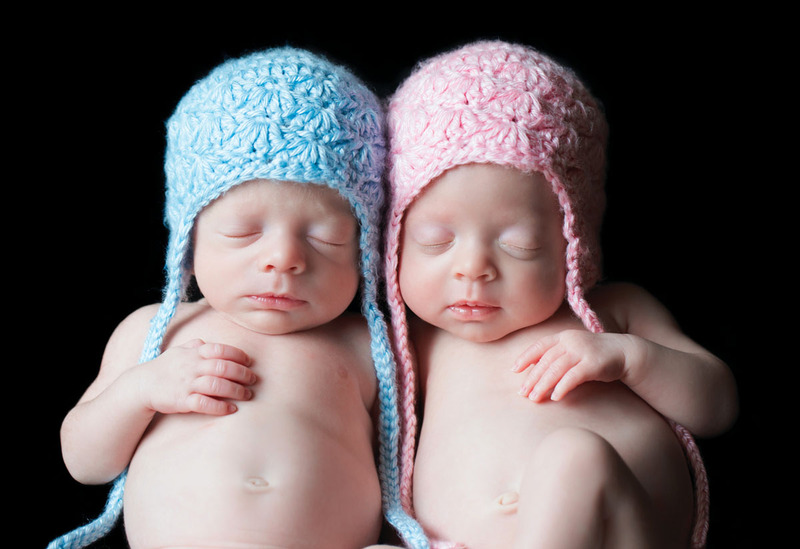 “The hormone level was so high, so we had suspicions there may be two,” said Katie. “An early sonogram confirmed there were two babies,” she said. But at their next appointment, only one heartbeat could be heard. The couple went home, distraught. The twins made their entrance at the right time. Katie and Brett didn’t hire any help for the first months, a decision they later regretted after sleepless nights. “I did not think I needed a night nanny at first, but I quickly realized I was wrong,” said Katie. The night nanny helped the overwhelmed parents get the babies on a schedule, while mom and dad were able to get some sleep. “She formed a special bond with them and is now our go-to babysitter,” said Katie. Reconstructive plastic surgeon Christi Blakkolb Munz and her husband, John, an orthopedic trauma surgeon, have 10-month-old twins, John Luke and Isabella. Every twin parent will most likely remember the first their twins interacted with each other (I know I do). “It’s like a light bulb turned on, and they both realized the other one was there and they giggled together. 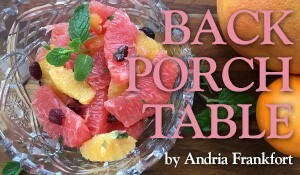 It melted my heart,” said Christi. And, you always hear this, but it’s true that twins share an unusual bond. “Even when we first brought them home [from the hospital], they would still, no matter where we put them in the pack-and-play, gravitate towards each other,” Christi said. So, yes. There are twice the tears, twice the midnight feedings and twice the dirty diapers, but there are also twice the smiles, twice the baby giggles and twice the love. So, to all those strangers who say, “Better you than me,” I agree.